By the time you read this, I’ll be in the High Atlas mountains in Morocco bagging a few 4,000ers. 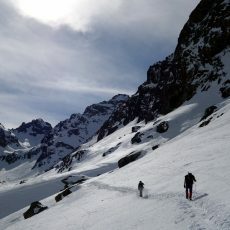 We have hired a local guide and trekking agency, and are keeping our fingers crossed for a feast of winter mountaineering and a couple of days in Marrakesh. 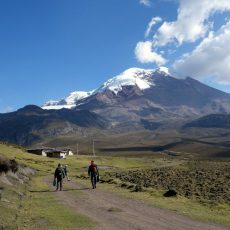 We had cycled from sea level at Guayaquil and circled Chimborazo on foot, climbing Carihuairazo on the way. It wasn’t the most direct way, and there may not be many others who follow in our footsteps, but it had been fun. We had just one more task to do: to climb to the summit. 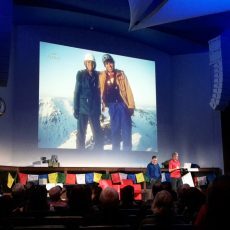 Mick Fowler and Victor Saunders are two legends of the Himalayan mountaineering scene who climbed together in the 80s and completed several first ascents. They went their separate ways for 29 years, but reunited for a climb last year. I attended their very first lecture together. 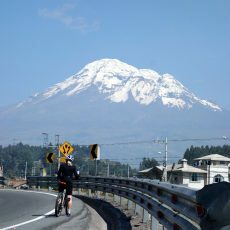 We had already cycled around the south side of Chimborazo. The next stage was to complete the full circuit by trekking around the northern side to Carrel Hut on the west. Just for good measure, we planned to pop up an extra peak, 5020m Carihuairazo, on the way. 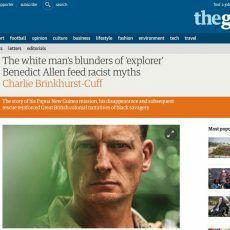 When the explorer Benedict Allen went missing in the jungles of Papua New Guinea earlier this month, it was no surprise when the Guardian published an article by a smug intellectual taking a swipe at his adventurous lifestyle. More surprising was how their readers reacted. Cycling is easier when you are carrying no weight and there are no hills. 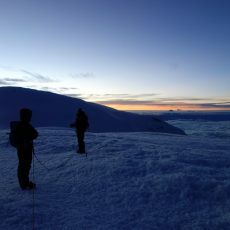 That was my thought at 10.30 on the first morning of our Chimborazo sea to summit challenge. It was a challenge that terrified me, but could I achieve or would I flop? Here is my trip report for the first part of our challenge. 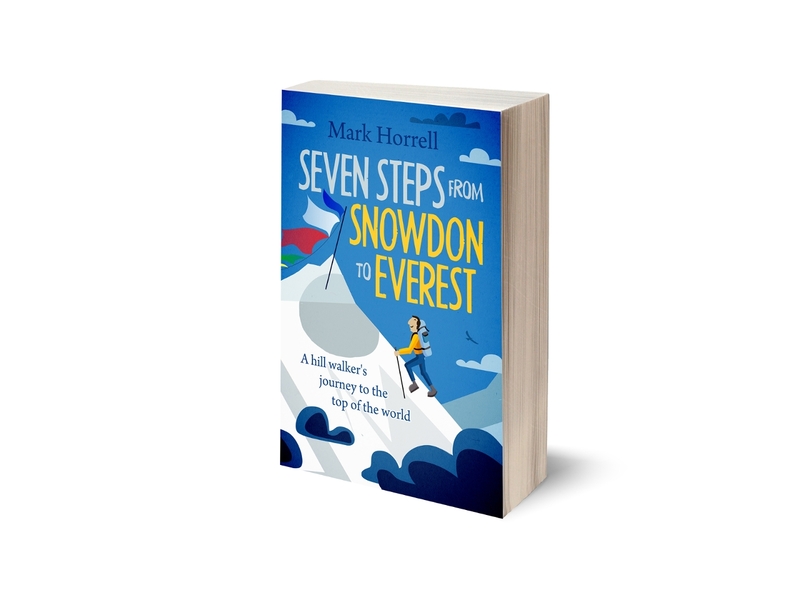 Once again, it’s time to give a bit more space in this blog to those of you who prefer to watch telly than read books. 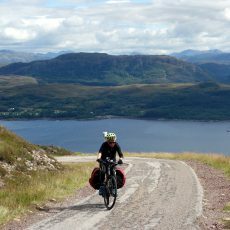 Here are the four short videos I made to capture the magic, the joy, the tears, the pain – and the farce – of our North Coast 500 bicycle journey. It was four years since my last visit to Scotland, and I ended up returning in a most unexpected way. 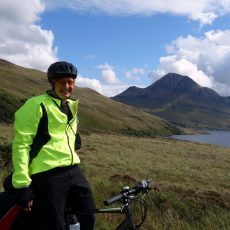 A few months ago I’d never even heard of the North Coast 500; now I’ve only gone and cycled it. The adventure took me beyond exhaustion, but somehow I got round. Here’s how. 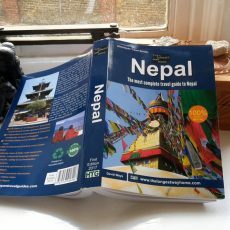 Back in May I reviewed a new guidebook to Nepal, written by the man behind The Longest Way Home website. Then it was only available as a PDF, but it’s now been published as a paperback by Nepali publisher, Himalayan Travel Guides. 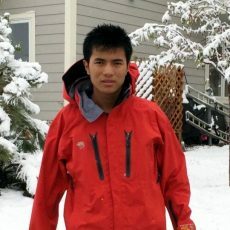 Earlier this week a fundraising appeal for Sange, a 19-year-old Sherpa who suffered severe frostbite on Everest this year, reached its ambitious target of $42,000.